At its most basic, a kitchen ventilation system works by drawing hot, greasy air out of the kitchen and replacing it with fresh air. 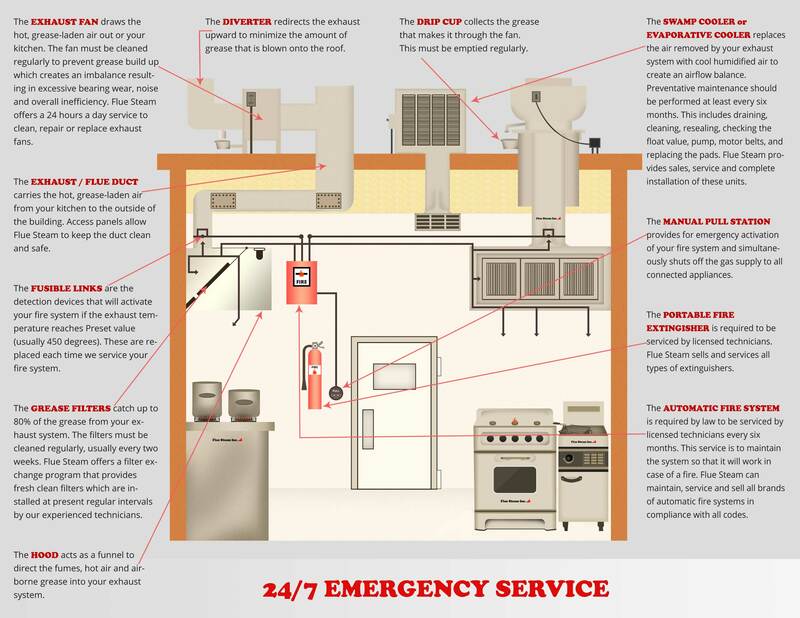 Without diving into the technical specs, here are some of the main points of kitchen ventilation that you may need to keep in mind in order to ensure the safety and comfort of your kitchen environment. Cooking appliances fall into four categories: light-, medium-, heavy-, and extra heavy-duty. It all depends on the strength of the thermal plume rising from the appliance when it is in use and the amount of grease and smoke that is likely to be in that plume. In order to ensure adequate ventilation, you need to know what kind of exhaust load your kitchen will be generating. Ideally, you want all of the hot, greasy air that forms the thermal plume to be whisked away by the kitchen exhaust system. A lot of this happens naturally as the hot air rises and the suction from the exhaust fan provides the little extra impetus needed to direct it into the exhaust hood. But you still need to ensure that you are utilizing strategies to maximize your hood capture. These strategies include choosing the correct type, size, and height of exhaust hood for various types and placements of kitchen appliances and installing side panels to block cross drafts that would push plumes out of alignment with the hood. In this way, you can ensure that greasy air is directed away from kitchen surfaces where it could become a fire hazard and into the ductwork where it can be contained and cleaned up later. All of the air that exits the kitchen through the exhaust system must be replaced with fresh air. This could come from other parts of the building or from a swamp cooler. It is vital that the amount of replacement air generated keeps pace with the amount of air exiting through the exhaust system, or the exhaust system will lose its ability to effectively remove greasy air. Regular kitchen exhaust hood cleanings and duct cleanings are vital for the proper maintenance of your kitchen ventilation system. Without cleanings, vaporized grease can accumulate on the inside of your exhaust hood and ductwork. 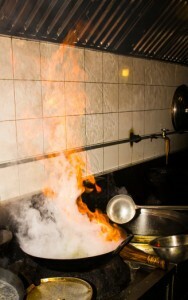 Should this grease suddenly ignite, it could cause a devastating fire leading to costly property damage and downtime at your kitchen. Flue Steam offers both hand-scraping and steam-cleaning for exhaust hoods and duct systems to keep your commercial kitchen safe and code-compliant.